Erica Mena and Safaree Samuels will be tying the knot this year after they got engaged on Christmas Eve. The reality star was filmed trying out wedding gowns and, from the photo, one can predict that Erica will be a very beautiful bride. 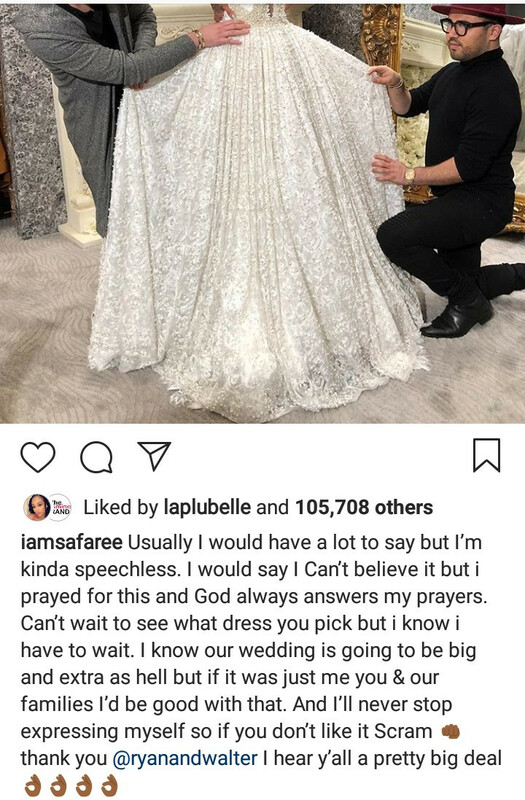 Safaree thought so too and said as much.